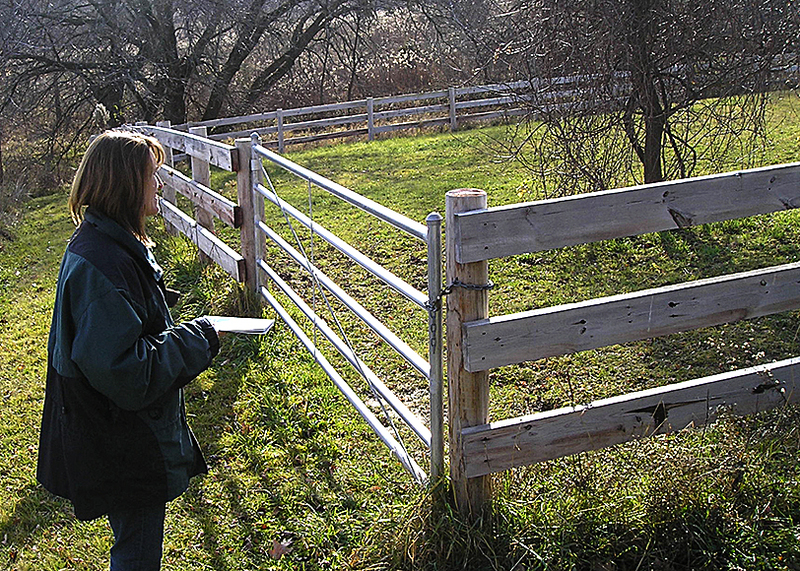 How much is charged for a fence estimate? You are here: Home / Fence School / How much is charged for a fence estimate? How much is charged for a fence estimate? How much does it cost to have a fence installed? And what’s included in the price? Be sure you get the answers so that you have a clear expectations. QualLine provides free estimates as a courtesy to all of our residential and commercial customers. We will come to your home, farm, business or other property and provide you with our expertise to give you all of the information you will need to make a decision. We will meet with you to look at your property, take measurements, and to help you choose a fence style. After that you will receive a written contract/proposal with a firm price for all the work. So what is included in the price and how much will it cost? There are a number of things we look at when we provide an estimate. First, location: How long it will take our equipment and installers to get to the job and back? We have predetermined such costs and include that in your estimate. This set-up- fee is included for all fence jobs, whether you have 50 feet or 500 feet to install. What’s included in the Labor? Labor is the next item. How long will it take for our installers to do the work? Will they have easy access to your yard? Is your house built on rock, sand, clay? What type of fence is it you are thinking about installing? Ornamental, chain link, wood, and plastic—each material has its own particulars that involve more or less labor. The layout of the fence can also add more time to the job if the installer has to stop and start to make gates or corners, create curves, or work around trees and bushes. In addition to their time at the job site, our installers spend considerable time at our shop gathering materials, loading their truck (tying everything down safely), driving to and from the job (often two or even more days), and loading out when the job is done. Will our installers tear out an old fence? Dispose of those materials? Cut down trees and remove bushes? Yes, for additional fees. The price of a fence might be $2,000 or $20,000, depending on the materials you choose. Plastic (PVC) and ornamental fence are the most expensive types of fence you can buy. Both require little or no maintenance, but you pay for that. Ornamental fence looks nice and is very durable but it’s pricey. The least expensive choice is chain link. Chain link doesn’t require maintenance and it is durable, but it is more utilitarian. Wood fence is kind of in the middle price range. The price can go pretty high if you choose a custom design, or if you later on decide to have it stained. If you stick to the basics, wood can be very reasonable.